What do I think of Andy Bannister’s book by Monarch Books? Let’s plunge into the Deeper Waters and find out. As I have studied apologetics more and more, sometimes reading apologetics books now gets boring. It’s a lot of the same-old, same-old. You’ve heard it all several times before and there’s nothing new so what’s the big deal. Honestly, getting Bannister’s book, I was expecting I’d get a good primer on some apologetics issues and put it down thinking that I had had a decent enough read and that’d be it. I don’t mean that in a snide way at all. Many of these books are fine for beginners after all and I read them wanting to learn how well this would help someone who was starting out in the field. As I started going through Andy’s book, from the very beginning I saw that it was different. Now the content is still a good basic start for most people. You’re not going to get into the intensely heady stuff here. You will discuss the issues, but it is just a start. What makes this book so radically different and in turn one of the best that I’ve read on this kind of topic in a long time is the presentation. Bannister is quite the comedian. His humor shines throughout the book and this is one book where I had great joy whenever I saw there was a footnote. Normally, you tend to just pass those over. Do not do that with this book! You will find some of the best humor. That makes the content all the more memorable. Bannister deals with a lot of the soundbite arguments that we deal with in our culture such as “You are an atheist with regards to many gods. I just go one god further.” He deals with scientism and what faith is and can we be good without God and can we really know anything about the historical Jesus? If you spend time engaging with people who follow the New Atheists on the internet, then you need to get your hands on this book. With humor and accuracy, Bannister deals with the nonsense, which tells us that in light of all the work he invested in this that first off, Bannister is highly skilled as an apologist and second, that Bannister has way too much free time on his hands to be thinking so much about this stuff. I really cannot say much more because it would I think keep you from enjoying all the surprises in this book. There were many times my wife had to ask me as I read “What’s so funny?” Some parts I even read to her. If there was one thing I would change, it was the chapter on the question of goodness. I don’t think Bannister really answered the question of what it means to be good. He said we need a God to ground it in, and I agree, but that does not tell me what good is. Even if we say the good is God’s nature, that still does not tell me what the good is, yet we all know that people know the good and the evil without knowing who God is. Still, do yourself a favor. Get this book and then sit down and prepare for a fun and worthwhile time. You’ll laugh and you’ll enjoy yourself so much you could lose track of how much good apologetics is sinking in. Andy Bannister’s book can be purchased here. What do I think of this book by Edward Feser? Let’s talk about it on Deeper Waters. As I finished this book, I must say I was disappointed. I was thoroughly disappointed since I knew that when I went on Amazon I could only give it five stars. Just five! If only I could have somehow doubled that number! Now that doesn’t mean I agree with everything Feser says. I don’t think he would even want me to after just a read of his book, but I do think he argues his case very well and quite humorously. As a Protestant Thomist, there are differences, but with much of his philosophy and metaphysics I am right there on his side. Feser is quite angry in this volume, and he has all right to be. The new atheists are a symptom of the way that our thinking is going downhill. It is not because we are becoming more scientific. No no no. That is all well and good. There is no problem with that. It is because we are becoming more and more anti-philosophical. With this anti-philosophical bias coming in, we are rapidly losing our ability to think well and becoming a more and more immoral people. Feser also ties this in with the cultural acceptance of redefining marriage and also about how he considers abortion one of the most wicked of all evils. Feser also brings in some strong polemics to this. Why? He is responding to the new atheists with what they have been dishing out and it adds a nice punch to the work. It’s hard to not be amused when you read that Richard Dawkins would not know metaphysics from Metamucil or that Daniel Dennett should have realized that anyone walking around saying “I’m a bright!” looks like an idiot. Also noteworthy is being told that the sophists are still with us today except they’re called lawyers, professors of literary criticism, and Michael Moore. Surprising to most atheists will be the bare interaction with Scripture or church tradition that Feser has. The only place I recall Scripture being used is in a section talking about the resurrection. This is really the only place in the book that emphasizes Christ as well. Why is there so little mention of Christ and Scripture? Because Feser is showing that if all you have is just the tools of reason, you still have more than enough reason to hold to the existence of God and deal with the new atheism. It could be that Christianity is false and the new atheists are still wrong after all. Readers of this book will also see a sustained argument that gives you a brief history of philosophy and why people like Parmenides, Heraclitus, Socrates, Plato, Aristotle, and Aquinas matter. Feser throughout the work shows that the arguments of the new atheism do not hold water and also lack explanatory scope. Feser also argues that the teleology that Aristotle says exists in reality is inescapable and the more we deny it, the more and more absurd that we become, including describing a couple known as the Churchlands. This is a pair of philosophers who are husband and wife and wish to speak of us as material beings entirely and I mean entirely. Feser does point out that as the article says, the Churchlands claim to have shared a lot of Oxytocin over the years, yet I’m guessing this is a claim that doesn’t exactly scream romance. Although, it is humorous to imagine being in a singles bar and going up to a lady and saying “Hey babe. How would you like to have a little Oxytocin tonight? Feser says that this will be the end result of the thinking of the new atheists. In the end, we will lose morality, we will lose free-will, and in fact, we will lose science itself. If the new atheists have been looking for a powerful opponent, they have found one in Feser and one who can roll with the punches just as good as they do, if not better. 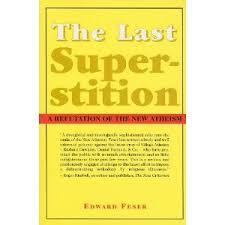 Feser’s sharp wit and powerful argumentation provide a powerful counter to the new atheist movement. If you want to read the best response I have seen to the new atheists, do yourself a favor and pick up this book. You won’t regret it. What’s my review of David Bentley Hart’s “Atheist Delusions?” Let’s talk about it on Deeper Waters. Indeed. What can the righteous do? When picking up Hart’s book, one might expect a lengthy reply to various new atheist arguments and criticisms of their approach. One will certainly find that, but not where one would expect. It will be in the first section of the book and the last section. The majority of the book does not even mention them at all. Do not come here if you are expecting a critique of Dawkins’s bogus 747 argument for instance. What Hart wants to deal with is the foundations. These beliefs are being removed by the new atheists from their position of faith. It is a system of materialism that cannot allow anything contrary to its unproven presuppositions. If something seems outside of the material universe, it’s either just wrong or we’ll find an explanation for it someday. Keep in mind the very term “There is no God”, while it could be true for the sake of argument, cannot be determined by science, any more than the claim “Love is the highest virtue” cannot be proven by science. This is not because science is wrong. It is because science is the wrong tool. It is no more an insult to science to say this than it is an insult to hammers to say they are not recommended for treating a toothache. While it might be said that a Christian will hide from a scientific discovery, and no doubt many do, it is just as true that the modern atheist tends to hide from anything that indicates any truth of a religious claim. Such can be found in how many even make it a mantra that Jesus never even existed. What is accepted as thoroughly proven amongst NT scholars and ancient historians and is practically a universal consensus, is disregarded, while the new atheists mock the Christians who do not accept the scientific consensus on evolution, held even by some Christians. Once again, which conclusion should be accepted depends on the presupposition. All of science is good and all of religion is wrong and biased. Hart goes to great lengths to show that the problem is not really with science or religion. Men have a great proclivity to do evil and will accept any reason to do so. That reason can be religious or scientific. We must simply ask which one has had a greater power to curtail that evil within human beings. His argument is that Christianity has had that power. To show this, he deals largely with myths of history and shows how Christianity changed the world through the building up of moral character based on the example of Christ. Hart contends that today, we accept many moral truths, but would we have accepted them if Christianity never came into the world? Probably not, except for perhaps Jewish people. Just look at the Greco-Roman world. Men and women weren’t equal. Some were by nature slaves. Unwanted children were to be left in the wild to die at the hands of wild animals. People watched other real human beings fight and die in the Coliseum for entertainment purposes. Did Christianity erase all of this immediately? No. But Christianity did set the seeds in place that eventually did so. What happens then when these ideas that are rooted in Christian beliefs lose their Christian foundations? Will the belief itself live on? It could be a nice dream to think that it would, but where is the evidence? The 20th century has been the most secular century of all, and at the same time the most bloody century of all. If we are people to go by the evidence, then the evidence is in. At this point, when Christianity is removed, people have a greater propensity to return to their base desires. Consider for instance the idea of what to do with the least of ours. The Romans and Greeks would leave their children to die in the wild if they weren’t wanted. Are we that barbaric? It could be, we’re worse. Peter Singer and others argue today that we should have the right to kill our own disabled children up to a certain time. As someone who is an Aspie, as is my wife, I take this claim quite seriously. Christianity, on the other hand, would hold that this one that is said to be useless in the sight of the world and holding us back from genetic success, fully bears the image of God and is worth more than the entire universe. Indeed, one could argue that in their weakness, many disabled people reveal the nature of God, the God who in Christianity took on human weakness in the incarnation, than many of us “healthy” ones do. Hart does not hold out much hope for our society as he does not see how such a revival can take place. Perhaps it is just for me that hope springs eternal, but I think it is possible. I think we are on the verge of a golden age in apologetics. If the apostles could change the Greco-Roman empire, why not think that we all today can do the same in our own world? The question is not the ability. We have the means to reach the world. The question is not the knowledge. We have the information that we need to do so. The question is the will. Are we willing? If we claim Christ is Lord of all and He has the power to change the culture, then let us go out there and do so. If we do not do so, it could be because parts of us don’t really believe that the Christ can do so through the proclamation of His message. This would be, as I’ve argued before, due to a lack of instilling of the importance of having a total Christian worldview to our churches rather than just teaching that we should be good people. Christians are to be good people, but we are to be not just good people. We are to be Christian people. Despite this, I do overall highly recommend the work to deal with a number of atheist statements of faith. The style is witty and engaging, yet it is certainly not simplistic, and one will learn plenty from reading a volume like this. What do I think about David Glass’s new book “Atheism’s New Clothes” by David Glass? Let’s talk about it on Deeper Waters. ” I have considered the impudent accusations of Mr Dawkins with exasperation at his lack of serious scholarship. He has apparently not read the detailed discourses of Count Roderigo of Seville on the exquisite and exotic leathers of the Emperor’s boots, nor does he give a moment’s consideration to Bellini’s masterwork, On the Luminescence of the Emperor’s Feathered Hat. We have entire schools dedicated to writing learned treatises on the beauty of the Emperor’s raiment, and every major newspaper runs a section dedicated to imperial fashion; Dawkins cavalierly dismisses them all. He even laughs at the highly popular and most persuasive arguments of his fellow countryman, Lord D. T. Mawkscribbler, who famously pointed out that the Emperor would not wear common cotton, nor uncomfortable polyester, but must, I say must, wear undergarments of the finest silk. Personally, I suspect that perhaps the Emperor might not be fully clothed — how else to explain the apparent sloth of the staff at the palace laundry — but, well, everyone else does seem to go on about his clothes, and this Dawkins fellow is such a rude upstart who lacks the wit of my elegant circumlocutions, that, while unable to deal with the substance of his accusations, I should at least chide him for his very bad form. The basis behind this is that it’s ridiculous to say you have not read on it. Glass correctly says it is a wonderful piece of rhetoric (p. 27), but does not count as a response. The whole idea behind it is as that it is obvious that there is no God just as much as it was obvious to the little boy that the emperor was naked. It’s a wonder that something that is so obvious has been passed over by the majority world. It doesn’t matter if the new atheists think this is the case. The question they need to ask is why I should think this is the case. Glass points to the emphasis on science that the new atheists make on page 20. He correctly shows that it has taken the place of religion. This is a criticism I have often raised where it has become the new priesthood. Glass also says on page 21 that the problem with the new atheists basing their atheism on science is that the question of if science leads to atheism is a question of philosophy and not of science. All of this is in the first chapter describing the new atheists, and I personally think this is the best chapter in the book. Glass goes on to deal with the definition of faith that the new atheists put forward. 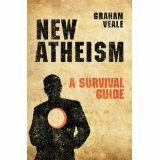 He argues persuasively that the new atheists have redefined faith as belief without evidence, and then shown how silly this is, which is in fact something any Christian philosopher or scholar would agree with, and yet in thinking that they have shown how silly this concept is, the new atheists think they have destroyed the notion of faith. “Of Hebrews 11:1, Harris claims that ‘read in the right way, this passage seems to render faith entirely self-justifying: perhaps the very fact that one believes in something which has not yet come to pass (‘things hoped for’) or for which one has no evidence (‘things not seen’) constitutes evidence for its actuality (‘assurance’)’ ” He then goes on to set up a scenario where he thinks Nicole Kidman has a love for him and that this must be the case. How else does one explain the feeling? As Glass points out, this is probably the clearest example of someone making the text say what they want it to say. Absent is any real exegesis of the text, yet this does not stop the new atheists! If one approached a science experiment the way they approach the Bible, the new atheists would be outraged, and rightfully so. It is because of their presupposition in advance that religion is ipso facto nonsense that they think the text does not deserve any real study. After this chapter, Glass goes on to talk about science and faith. Is there really a conflict? Glass on page 84 shows that this is readily apparent in their problem with miracles, something scientists like Copernicus, Kepler, Newton, etc. never had a problem with. The new atheists claim that belief in miracles means one rejects science presupposes that all events are brought about by natural laws. Of course, this would follow if there was no God, but that is the question being raised. It is saying “It is irrational to believe in miracles if there is no God.” Is anyone seriously disagreeing with that? In fact, Dawkins says the last word was written on this by Hume. (It’s strange that for the new atheists who claim to want to use the latest research, that they look at the 18th century and don’t look to see if any interaction has taken place since then.) I refer the reader to my review of “Miracles” by Craig Keener that can be found here. The next two chapters deal with the origin of the universe and fine-tuning respectively. This is not my area of expertise as the arguments are scientific rather than metaphysical. I leave that to the reader who has an interest in that area. The next chapter we will look at deals with the Boeing 747 argument of Dawkins. Glass points out that Dawkins has said that science has set us free from religion, but instead his Boeing 747 argument is a philosophical argument, one that comes from Hume in fact. If it is science that deals the death knell, why is it that Dawkins wanders into philosophy? If Dawkins is allowed to give a philosophical argument against God’s existence, shouldn’t he consider more seriously the philosophical arguments for God’s existence? Before someone says that he has done that in chapter 3 of The God Delusion, I suggest you realize that his understanding of the arguments is incredibly shallow, even of the ones I don’t agree with, such as the ontological argument. It would have been good for Glass to give more arguments on how a doctrine like the simplicity of God can deal with much of this. The argument is metaphysical and it is my contention that much of our problem in the debates we have today in many areas is that we have neglected the area of metaphysics. Interestingly, most people who I debate with don’t even know what it is, but they know that it is nonsense! Chapter 8 deals with morality and the problem of evil, an area the new atheists lack in, especially since we have something like “The Moral Landscape” by Harris. In fact, Glass points out that if goodness is well-being, then if religion promotes goodness for people and their well-being, then it would seem that Harris should be in favor of religion. Dennett has even shown some beneficial aspects of religious belief. Glass shows that the new atheists have this idea that for the Christian, the only place they get moral guidance is from the Bible. I have argued against this position for some time. It is my contention that something is not moral because the Bible says so, but the Bible says something is or is not moral because it is. Glass also points out that the new atheists when looking at tyrannical societies like Stalin’s, say that Stalin’s behavior was the kind of behavior religious people have (Even though Stalin was staunchly anti-religious) and so their reigns of terror are the fault of religion anyway! Glass also shows that the new atheists do not spend much time with the problem of evil which is usually the best argument used against theism. The new atheists have not on their own established any metaphysical basis for morality. When it comes to looking at the claims, the new atheists once again ignore evidence. For the new atheists, evidence is only something a Christian has to provide. The new atheist doesn’t have to. The ninth chapter is about the Bible. The reason many chapter reviews are getting sparse now for me is that many of these arguments are dealt with by other authors. This is not to say Glass does a bad job of that. He does a great job. Taking care of the new atheists today is like shooting fish in a barrel. As I have said before, we should thank God for the new atheists. They are injuring their own side and helping to wake up ours. One amusing point in here is that the new atheists argue that the Bible was written by ignorant men. Glass responds that this is in fact the case. The writers were ignorant and we’ve never said otherwise. As can be expected, the new atheists do not deal with evidence. When the new atheists make a claim about the Bible, it is obvious who they go to. It will be a writer like Bart Ehrman, John Loftus, Robert Price, or Dan Barker. Interacting with any Christian scholarship that opposes is out of the question. After all, such people are ipso facto deluded and why waste time with people who are deluded? Much of this continues with the tenth chapter on Jesus and the resurrection. Glass amusingly tells of how Dawkins says the Da Vinci Code is fiction, and rightfully so, but when Dawkins talks about the formation of the canon, one would be hard-pressed to really show the difference between the two views. Again, it is another case where the new atheists ignore evidence. In fact, Dawkins and Hitchens even say it can be questioned if Jesus existed at all. To say that is a serious question in NT studies would be like questioning descent with modification to biologists. Fortunately, Glass does give the positive case for the resurrection of Jesus and how NT historians do take the claim seriously. It is the central question of Christianity and it is one that is historical and it is a wonder that the new atheists do not spend more time on it. Well, it would be if it wasn’t for the fact that the new atheists have reached a verdict beforehand so why bother with evidence? The final chapter is on the question of if life has meaning. This is not an argument I use so I will not be critiquing on it. The person who is highly familiar with Christian apologetics will get some out of this book and is thus worth reading, but there will also be much that has been seen before. This is not the fault of Glass of course. It’s just that there is so little in the new atheists that there is not much that needs to be said. Still, the book comes with great recommendations from people like Paul Copan and John Lennox and for good reason. The first chapter I still think is the best and I’m pleased to see chapter two is there as I do think Glass is pioneering some in this field. In conclusion, I do recommend this book and I look forward to seeing what else Glass comes out with. David Glass’s web site can be found here.